A current ban of gay members of Boy Scouts of America will be addressed by the California Legislature by seeking to remove the organization’s tax-exempt status. A bill called the Youth Equality Act, sponsored by Sen. Ricardo Lara, D-Long Beach, passed its first committee hurdle as it made its way through the Senate Governance and Finance Committee on a 5 to 2 vote. 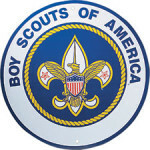 The proposal would remove tax-exempt status from any youth group shown to be discriminating on nationality, race, religion or equal orientation, but was originated because of the Boy Scout policy. It now heads for the Senate Appropriations Committee for review. Lara’s bill is the first of its kind to be presented in the California lawmaking body. Richard Lara, the author of this bill is an openly gay Latino He was endorsed early on by the California Latino Legislative Caucus, and 48.7 percent of households in the 33rd District are Latino. Citizen, I don’t know why you would post information about the author of the bill. Either the bill is worth support or it is not. Who initiated the bill is irrelevant, unless you can point to reasons why the bill’s author has an impact on the contents and potential impact of the bill. Mary, you should always check on who is introducing a controversial bill, who or what organizations support it, and who the author of the bill gets campaign money from. Considering Mr. Lara’s district, and the fact that he won some 80% of the vote, he will be serving in the Senate for a long time.